Suggested Therapy exam dates: April 23 - April 26, 2019. Exams will ship to proctors beginning April 9, 2019. Exams will be available to individual residents April 29, 2019. Suggested Diagnostic Exam dates: May 21 - May 24, 2019. Exams will ship to proctors beginning May 7, 2019. Exams will be available to individual residents May 27, 2019. Download the Order Form PDF to learn how to order and register your proctored exams. New Publication Coming in June 2019! MRI reveals structural and anatomic details of soft tissues often much better than does CT. It can also exploit novel and unique contrast mechanisms at the biomolecular level to provide information on the physiologic and pathologic status of organs, muscles, nerve trunks, cartilage, etc. This introduction to the science and technology of MRI has been written at the beginning graduate level primarily for professional medical physicists and engineers in training. Others, such as physicians with physical science backgrounds, may well also find it to be of interest. Several more advanced topics-like Fourier analysis, k-space, and statistical distributions-are introduced as they are needed. 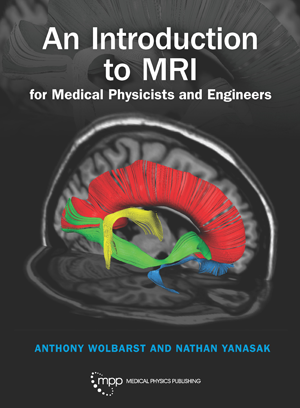 Richly illustrated in color, this book will help readers understand not just the basics of MRI, but how recent variations on its original implementation have produced the many alternative interpretations of data that have made MRI such a powerful diagnostic tool. **Free shipping within the continental USA only. Since the early 1910s, the staff of Memorial Hospital in New York has been deeply involved in the development and application of radiation to treat cancer. 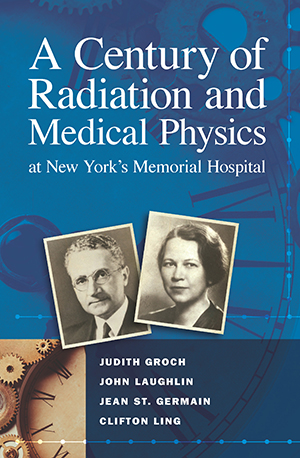 This book chronicles the activities and contributions of the hospital's medical physics staff from 1910-2010. Memorial Hospital's medical physics pioneers included the likes of Gioacchino Failla and Edith Quimby, while the modern eras were led by John Laughlin and Clifton Ling. 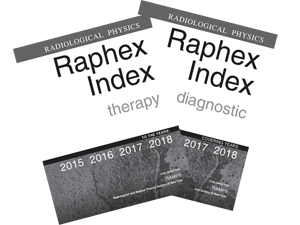 Published in cooperation with RAMPS, the Raphex Radiological Physics Examinations are designed to be useful as practice tests, advance study guides, or exams for course credit. The Collections are a set of the previous 4 years (2014-2018) of RAPHEX Q&A Booklets with a specially prepared Index designed to help in studying for board examination. Save $25.00 or $35.00 When You Purchase a Collection! 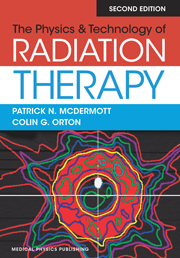 The Therapy Collection is an excellent resource for residents in radiology and radiation oncology to use as practice exams or for self study. The Diagnostic Collection is an excellent resource for residents in diagnostic radiology and radiation oncology to use as practice exams or for self study. The 2015, 2016, 2017 and 2018 Diagnostic Exam and Answer booklets are printed in full color. Individual Exams and the 2019 Collections are available in eBook versions. How good are your contours? The first quality assurance software for the contouring of structures.